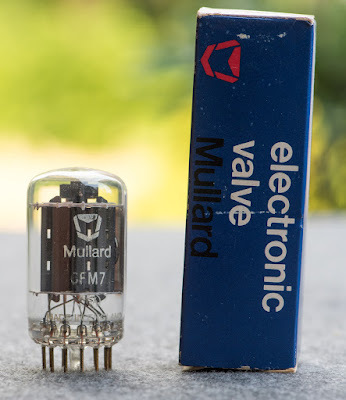 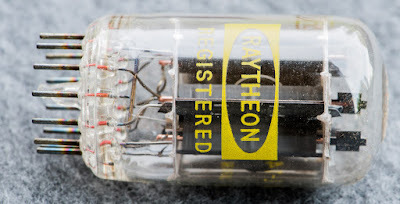 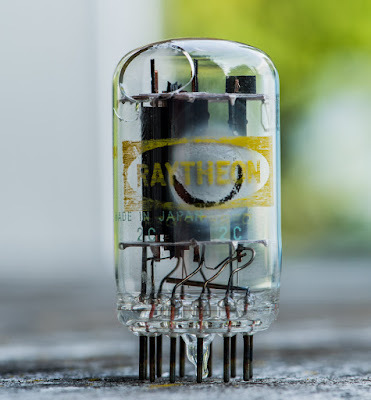 I haven't presented a Compactron tube since more than two years, so I pulled the 6FM7 from my stash as this months tube. 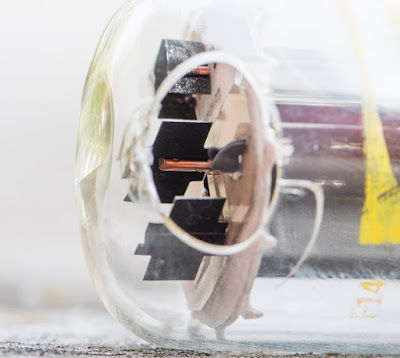 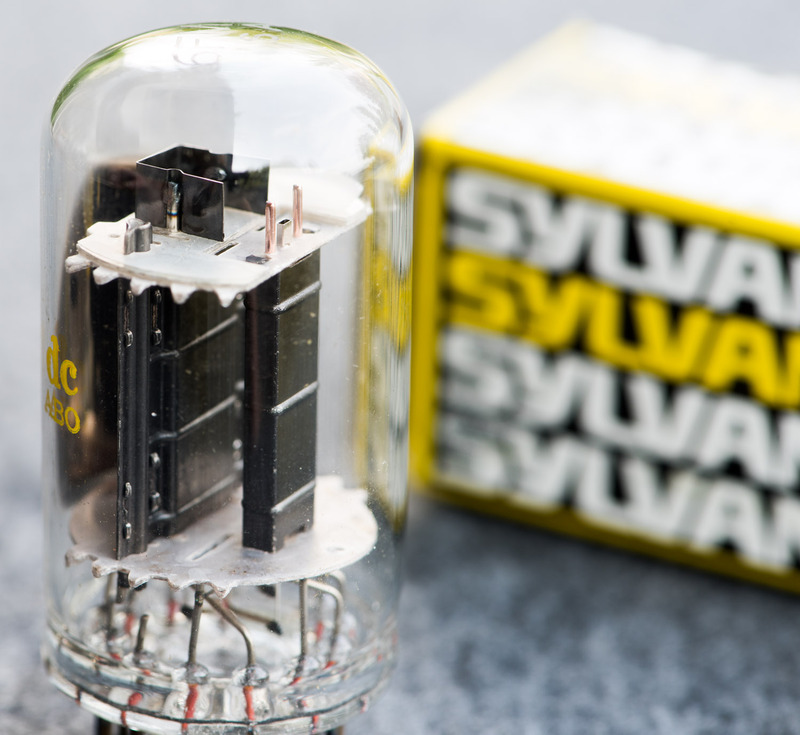 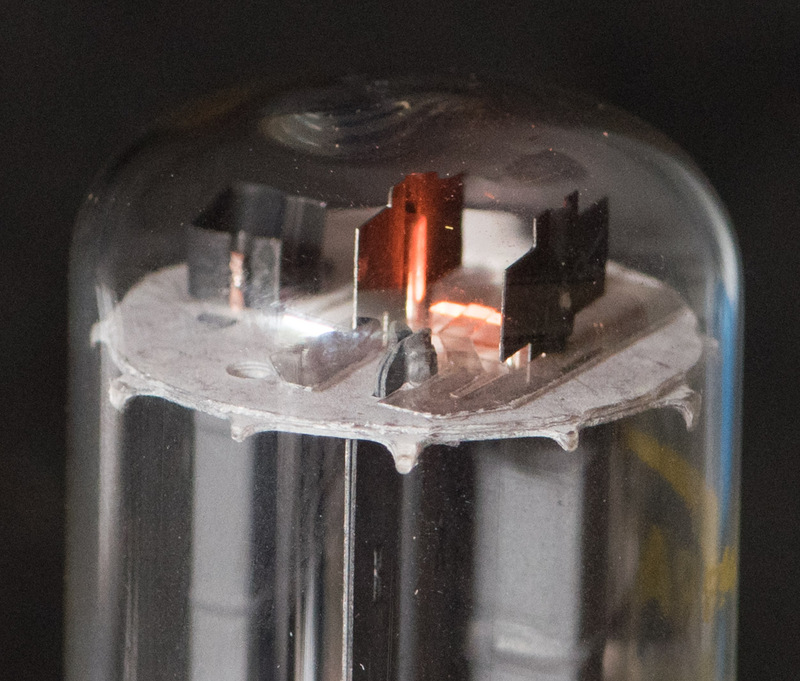 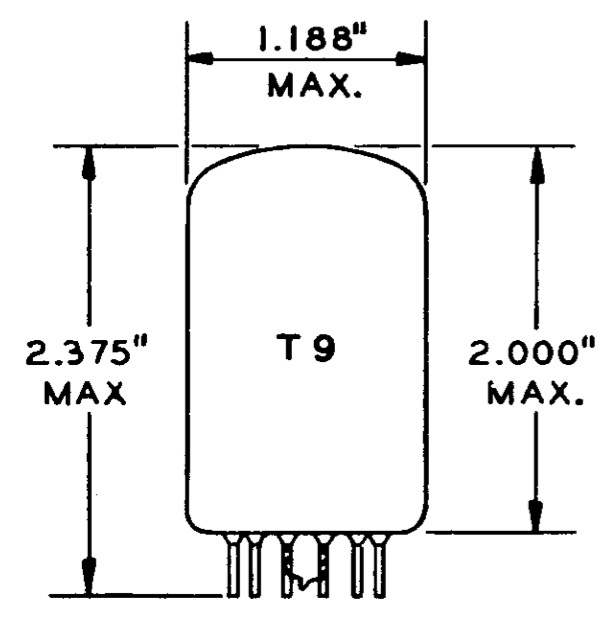 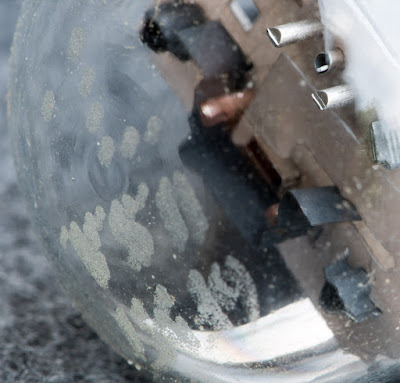 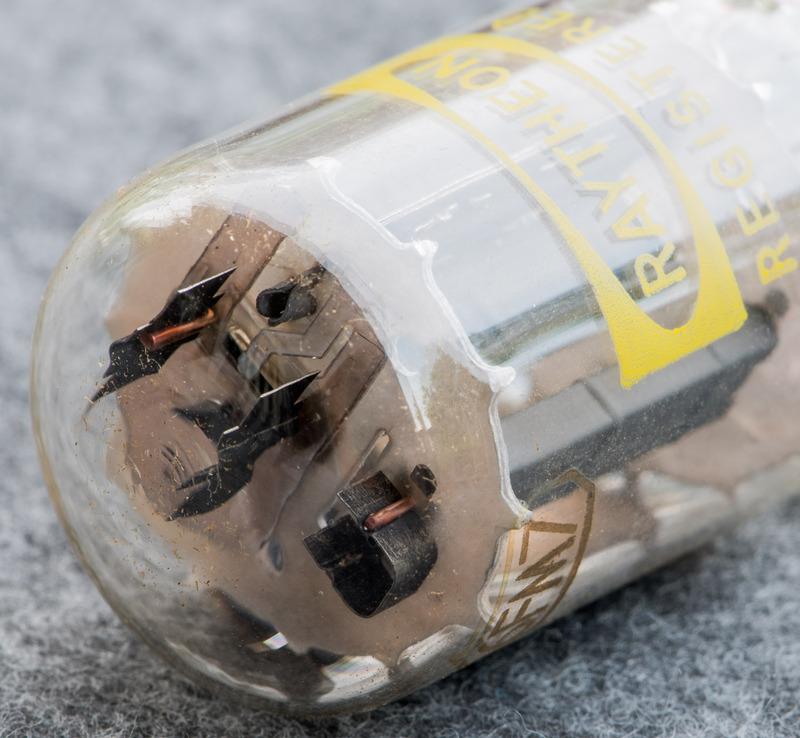 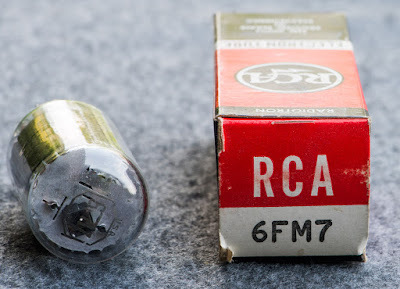 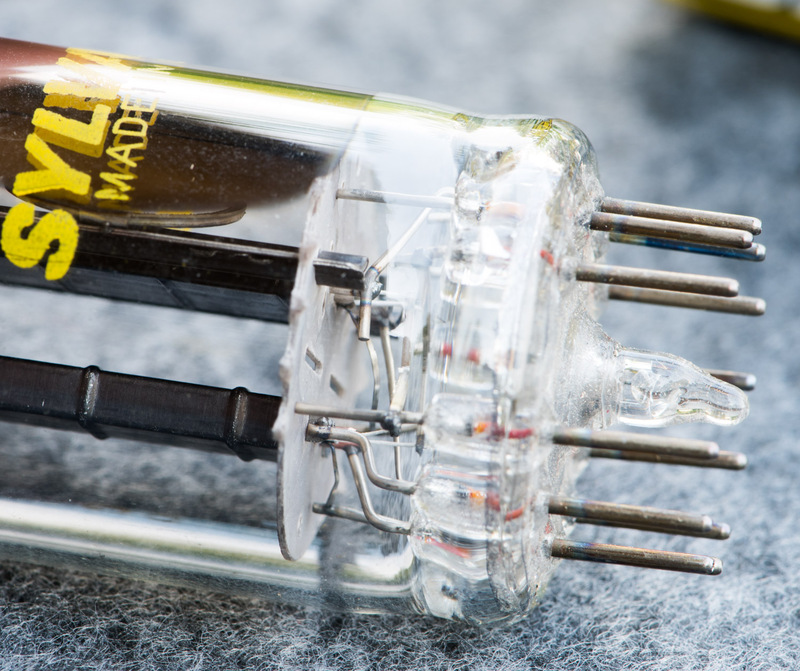 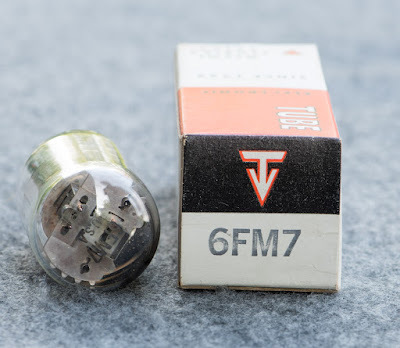 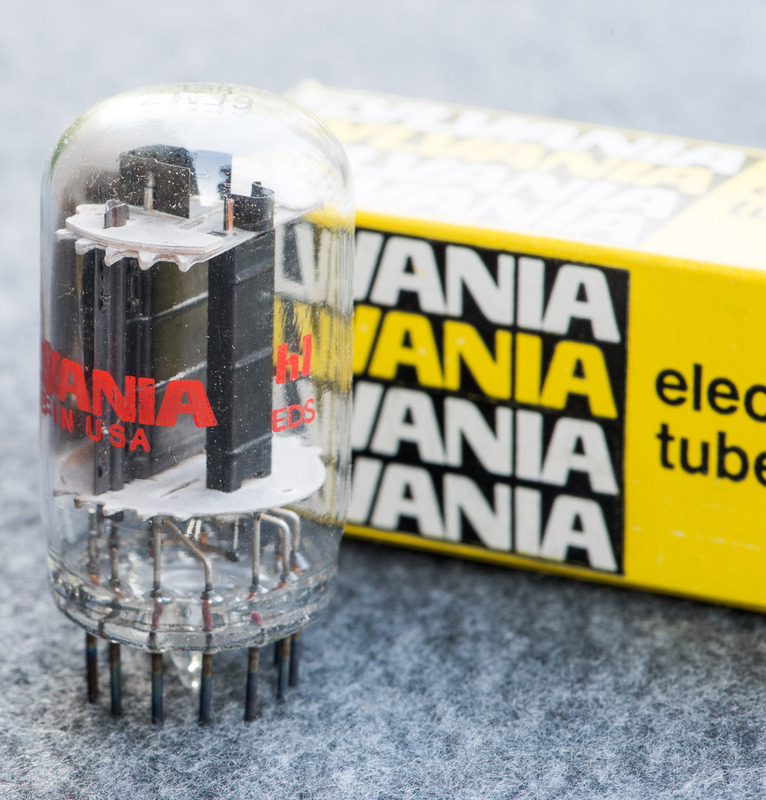 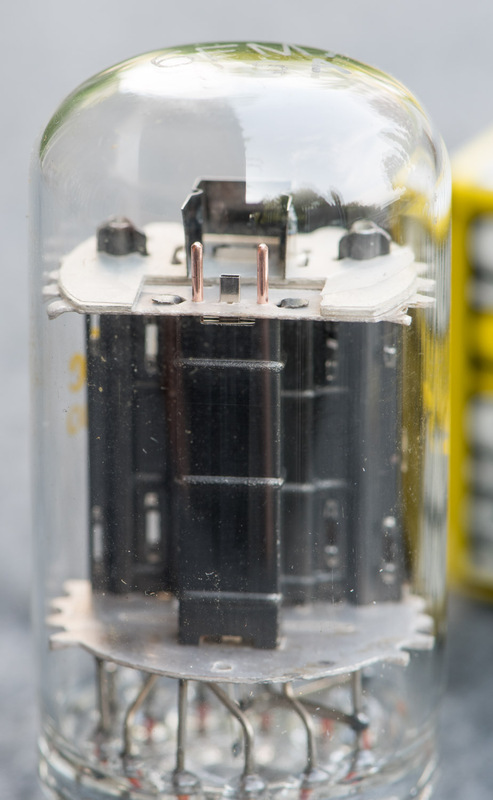 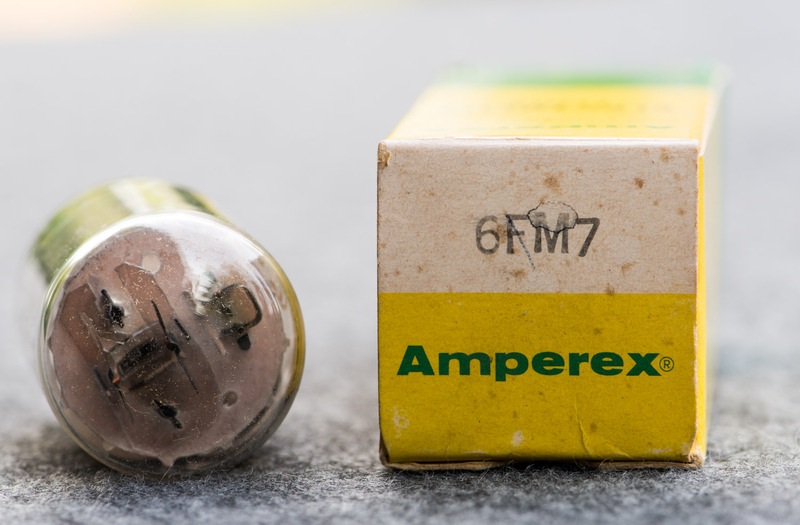 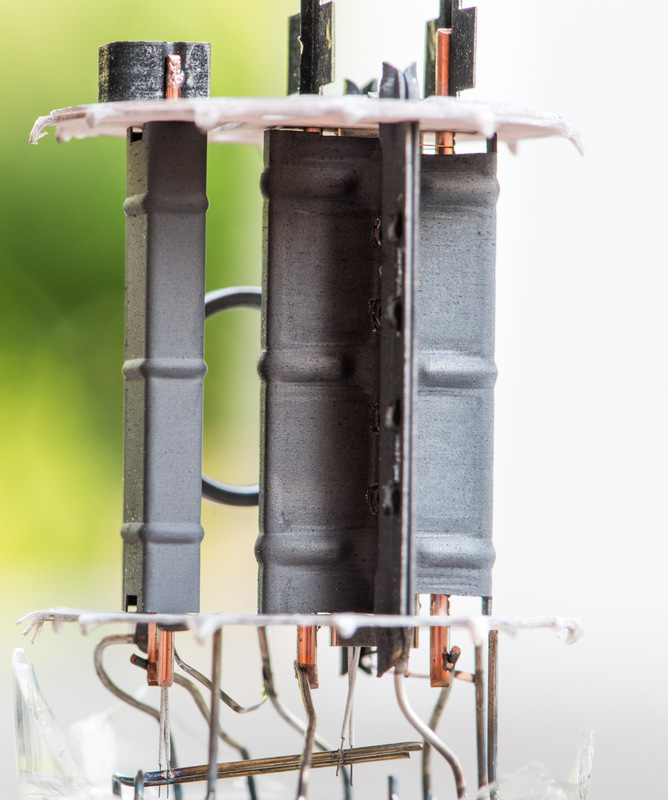 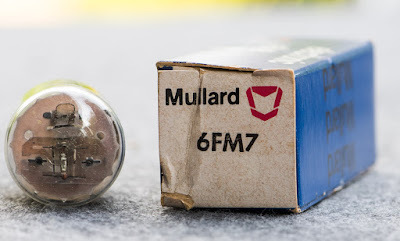 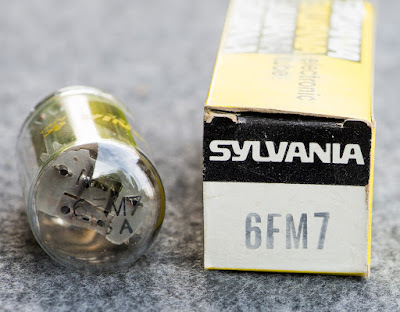 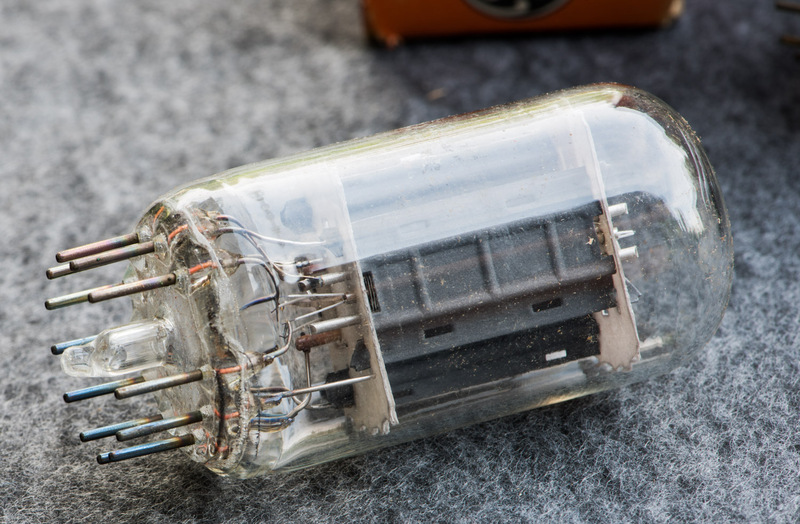 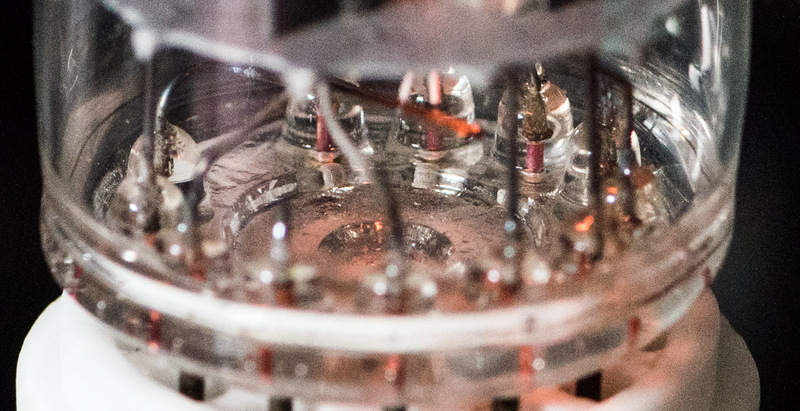 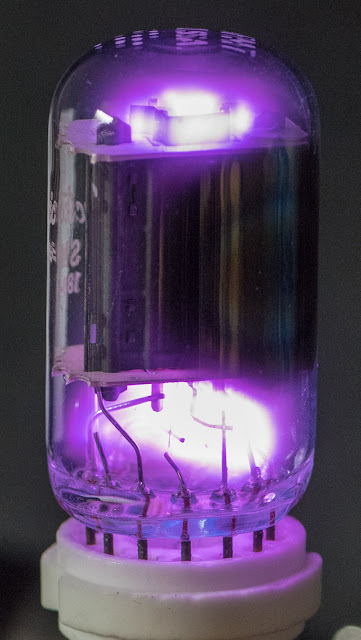 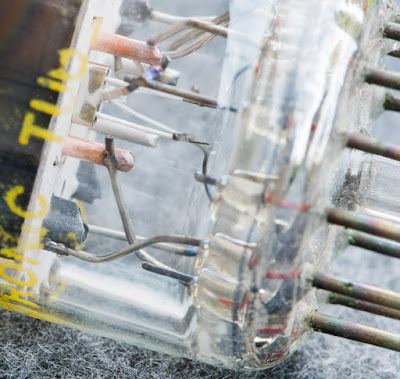 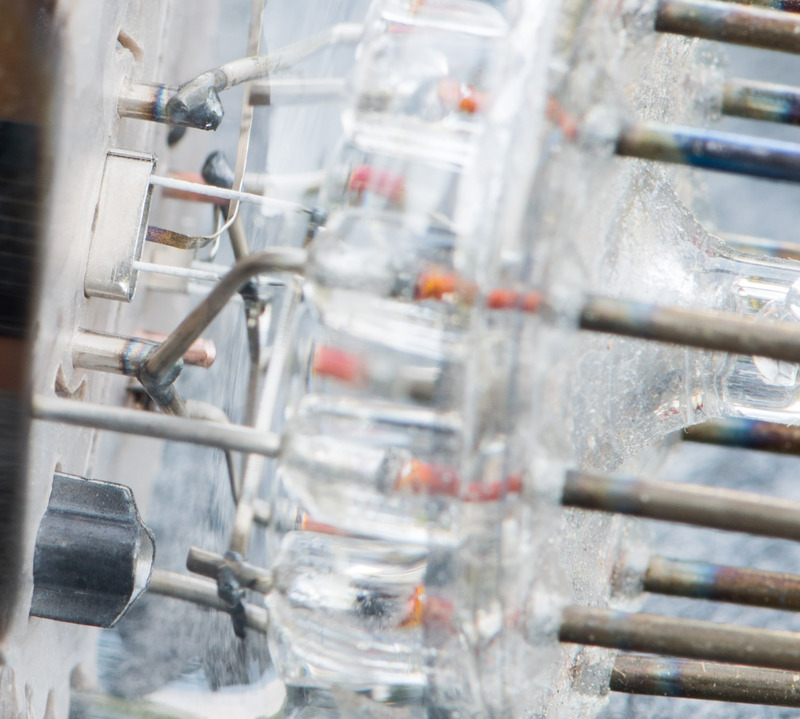 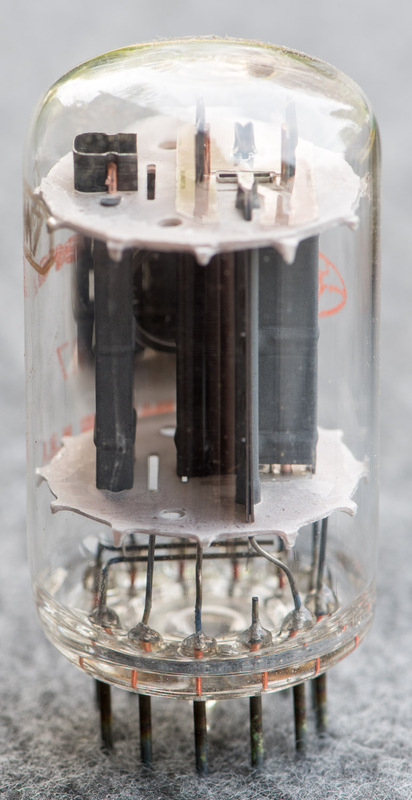 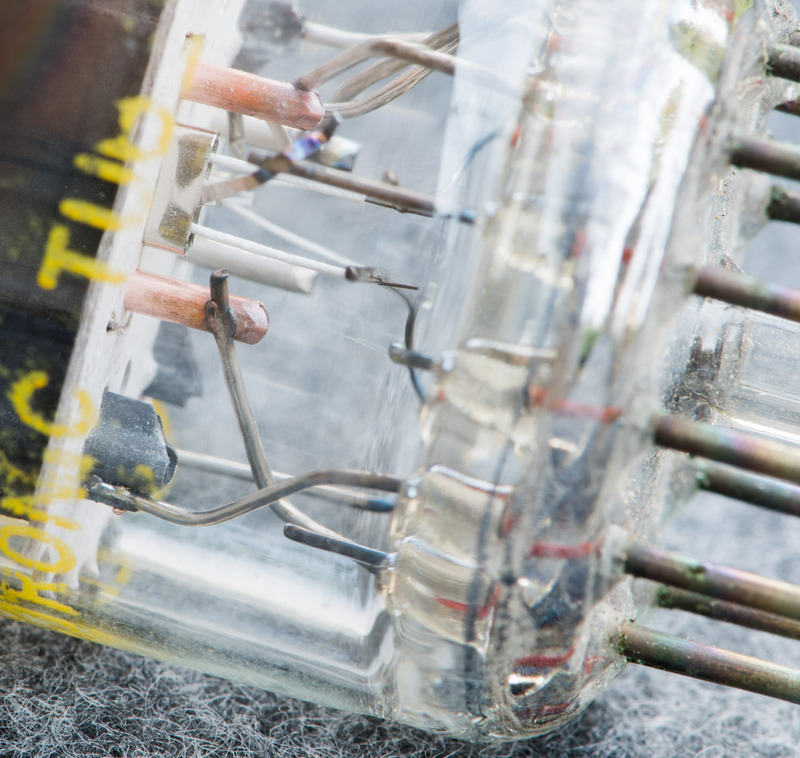 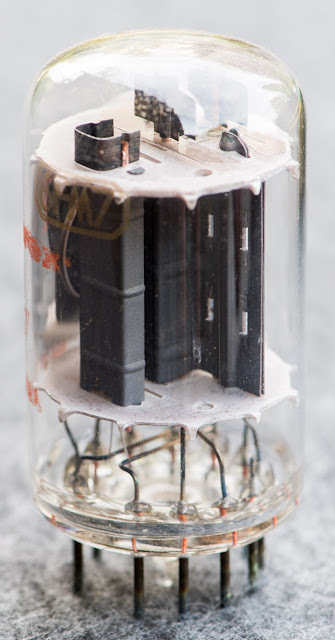 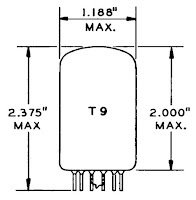 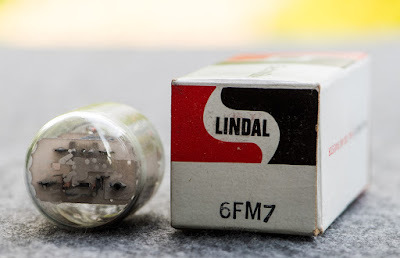 The 6FM7 is a dissimilar duo triode. This means it contains two triodes which have different parameters. 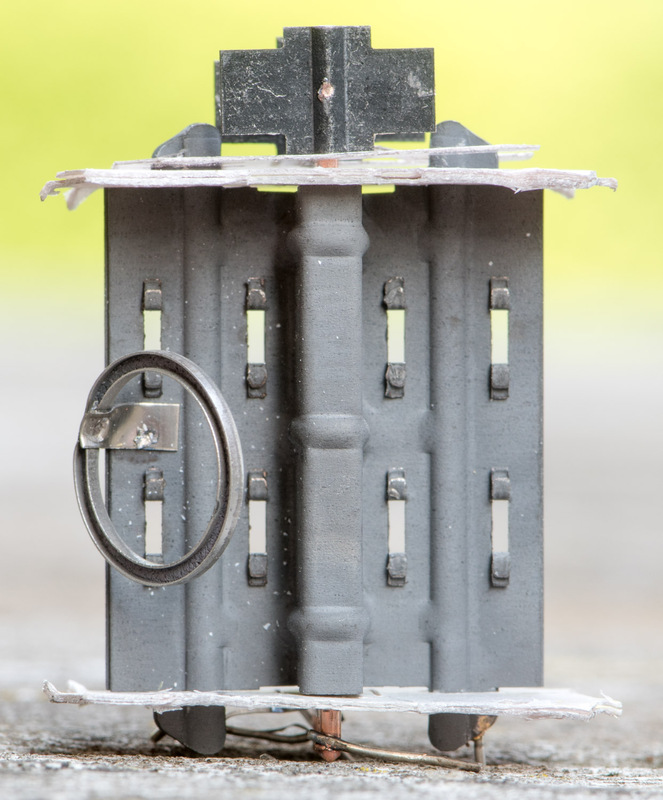 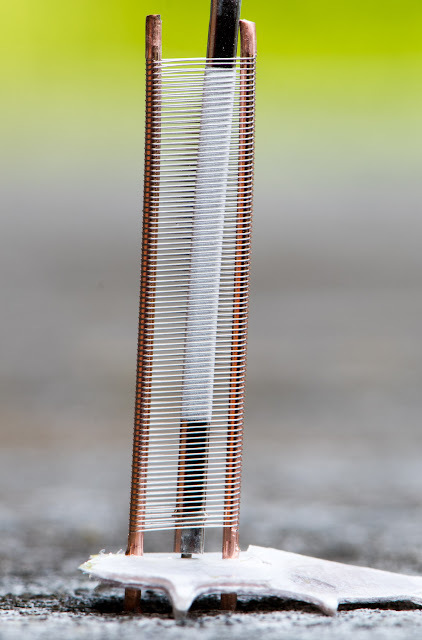 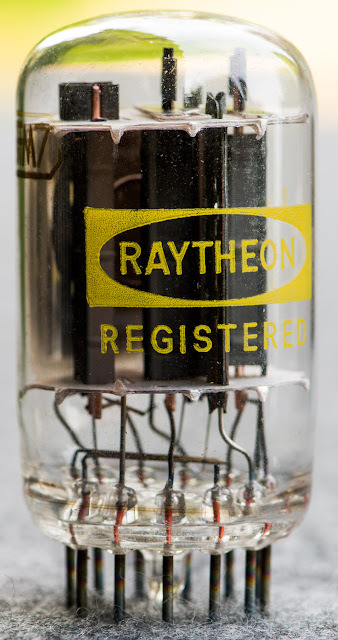 triode for a flea power amplifier. 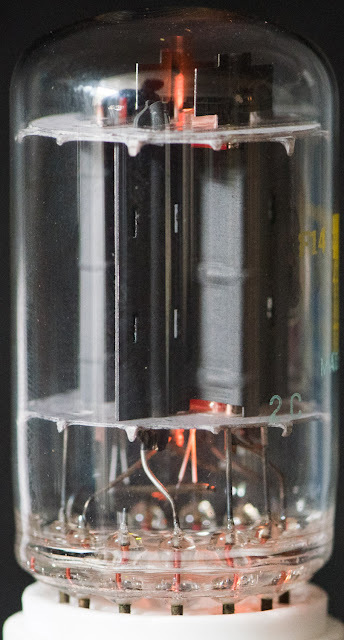 In such a use case the high mu section can be used as driver, enabling an amplifier with a single tube per channel. 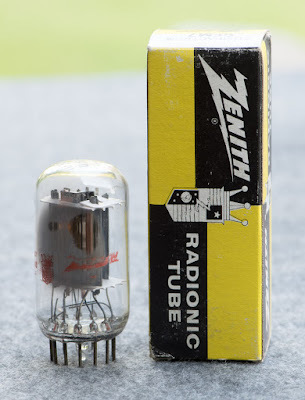 Or the tube could make a nice headphone amp. Many possible uses for the ambitious amplifier builder. 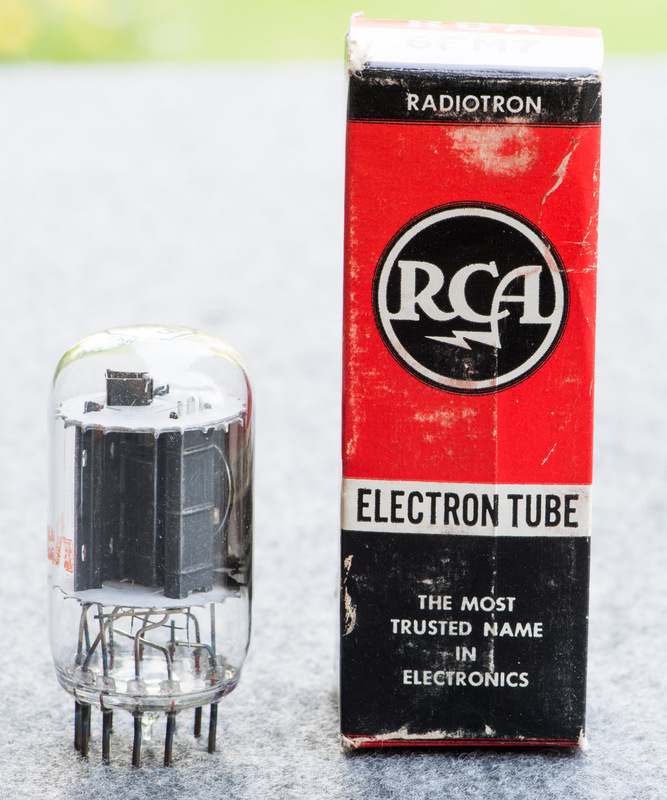 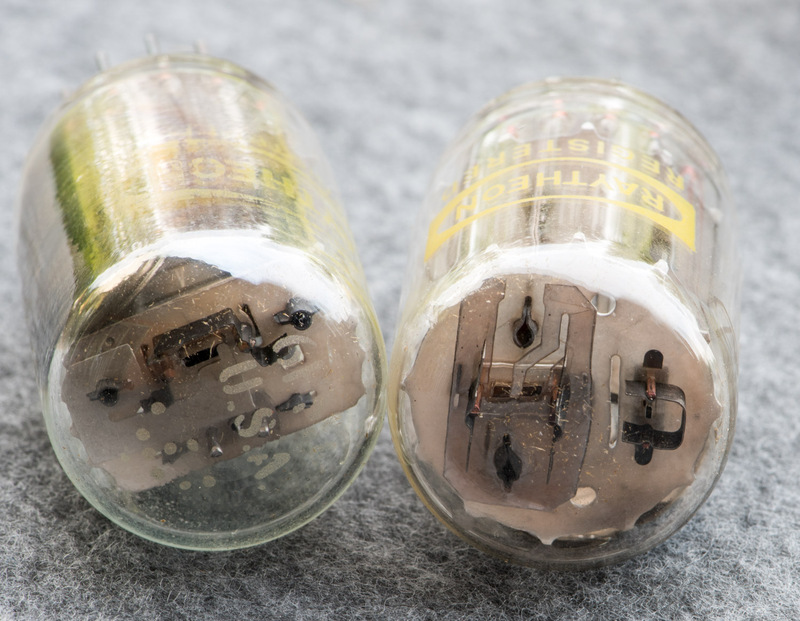 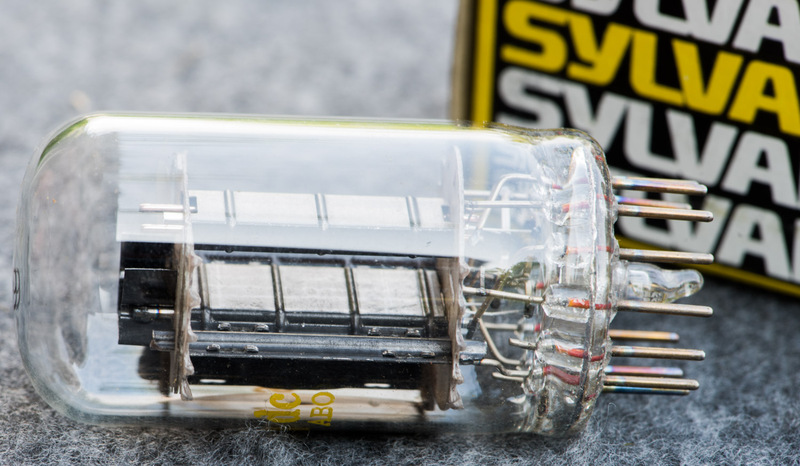 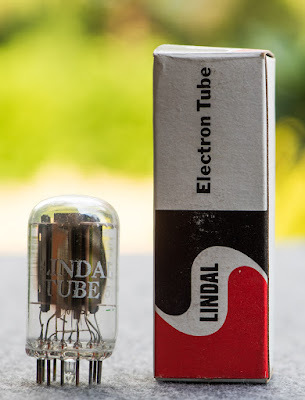 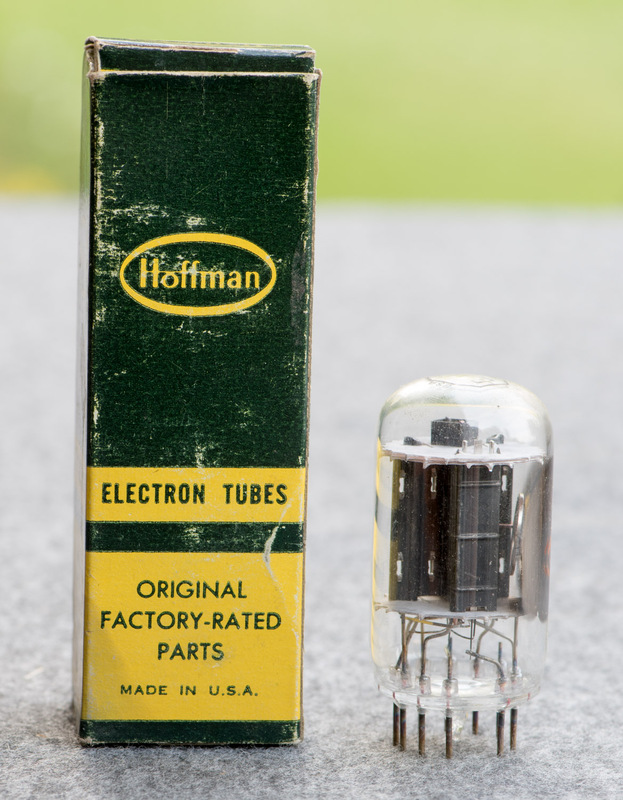 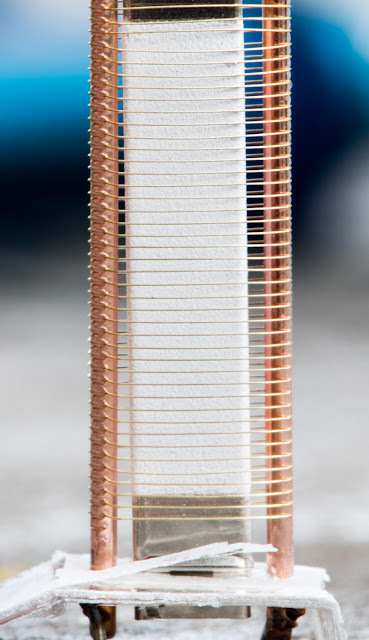 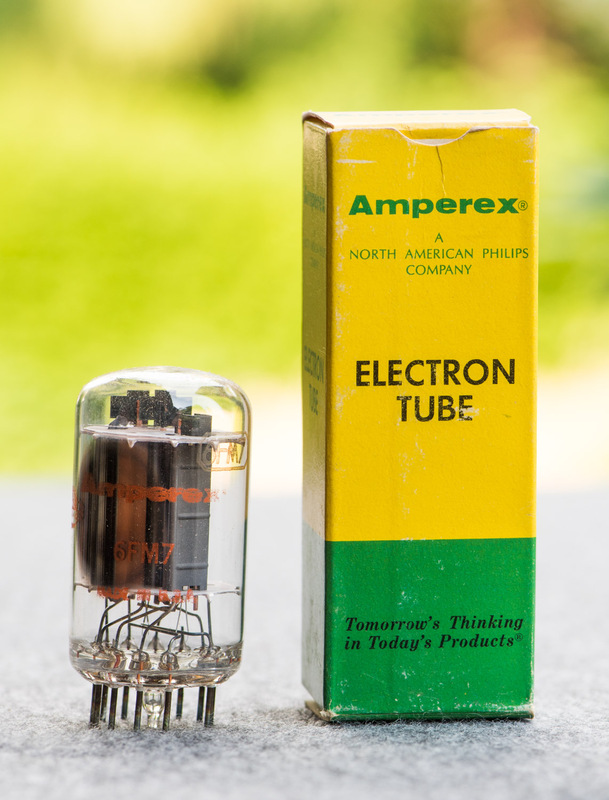 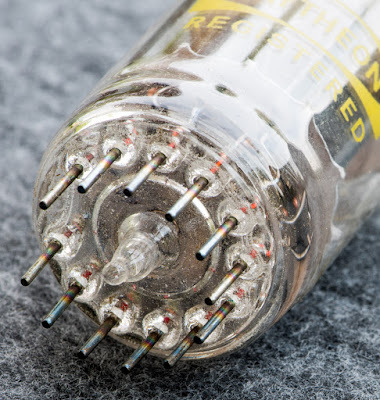 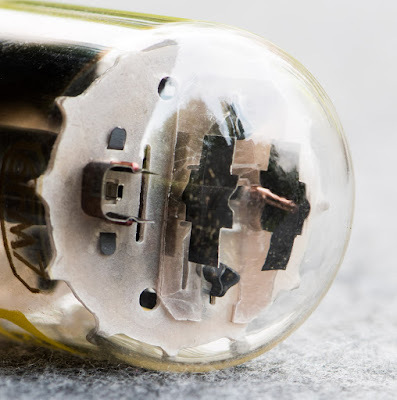 Since Compactron tubes are still widely ignored by audio people such tubes can be picked up at low cost. 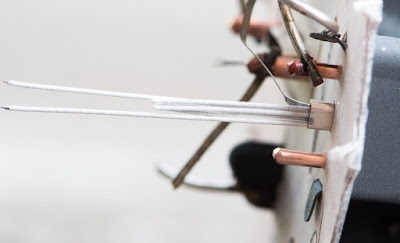 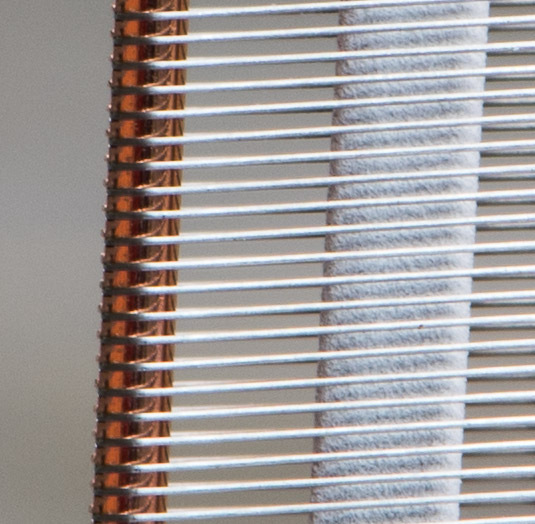 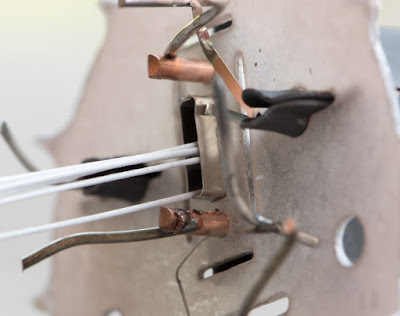 The Compactron series of tubes contains many gems which are very useable in audio applications. 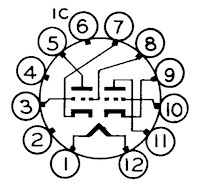 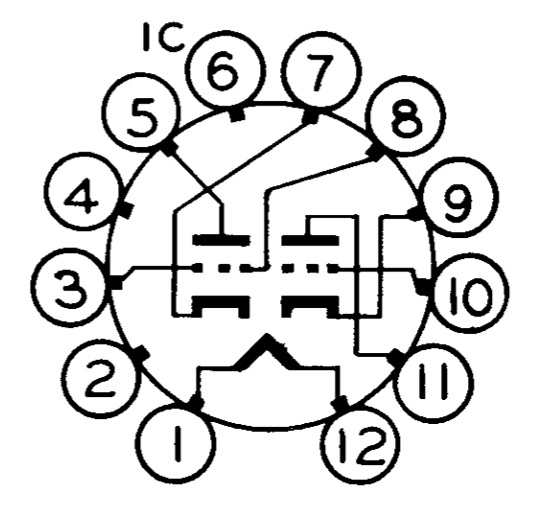 For example the 6GE5 which I presented in 2014. 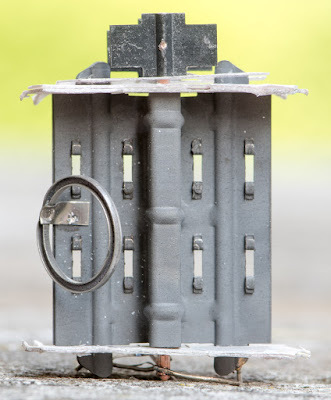 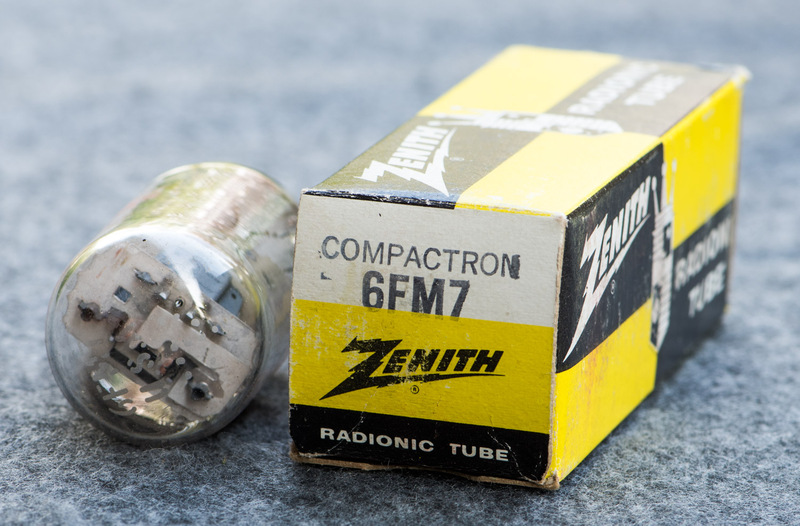 Look up that post for some background information about the Compactron series. 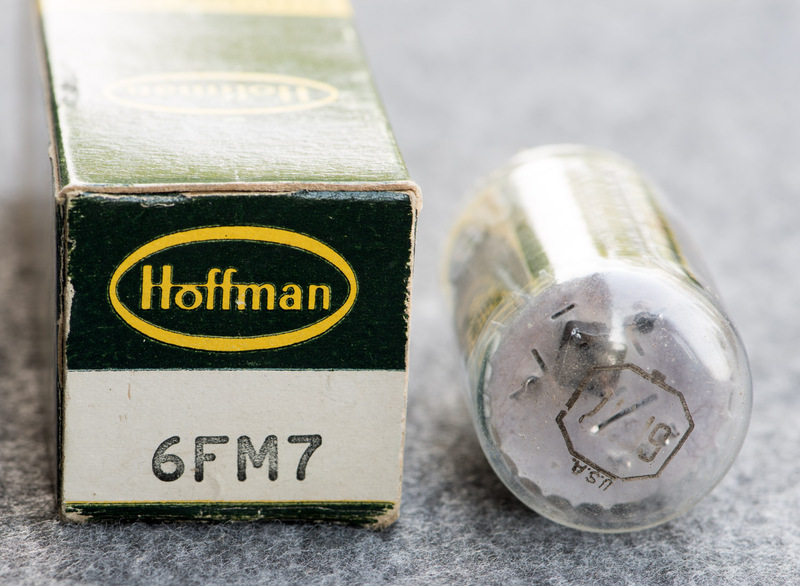 I have not used the 6FM7 myself yet but I am sure it will work nicely if used in the right circuit. 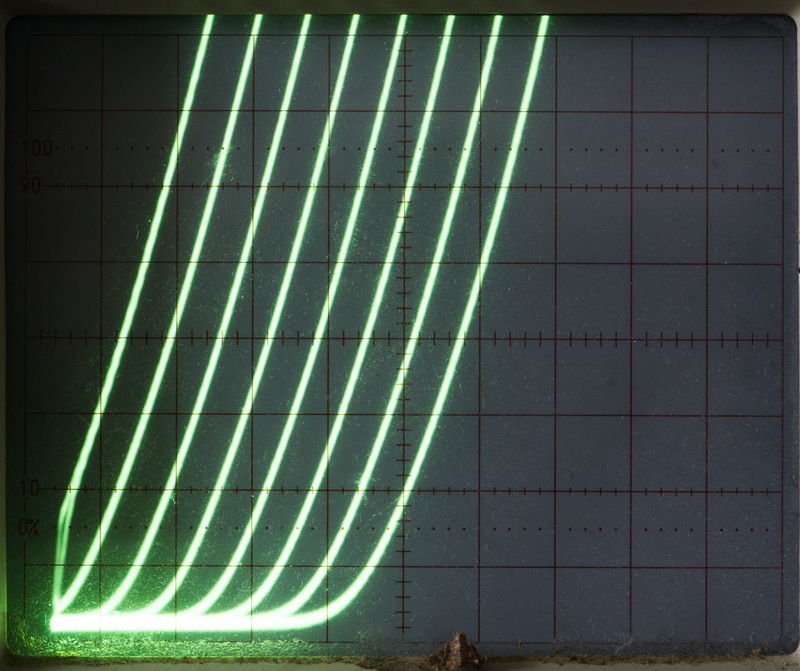 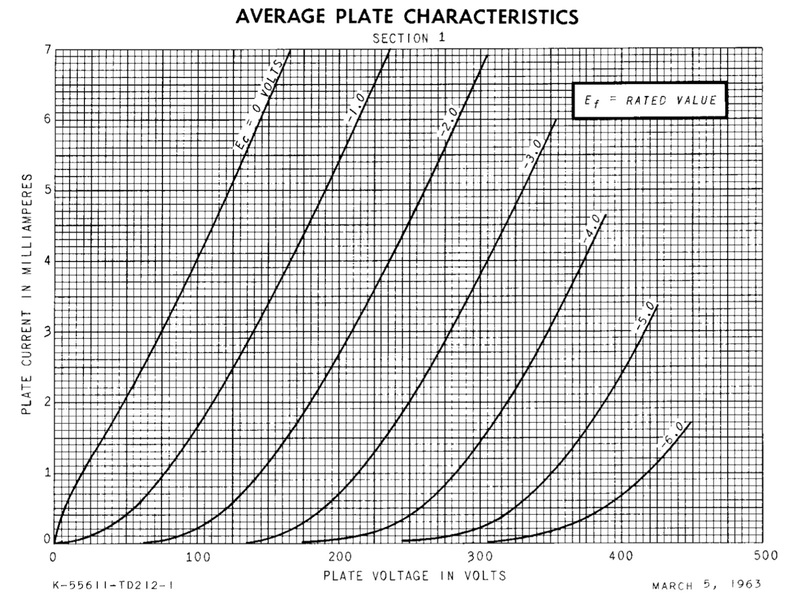 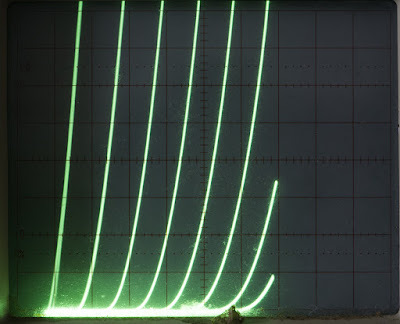 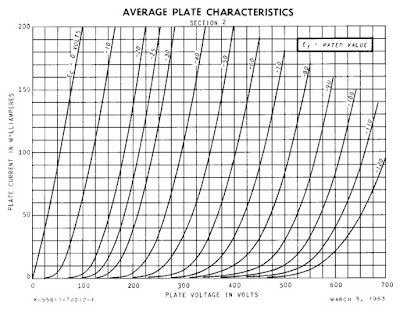 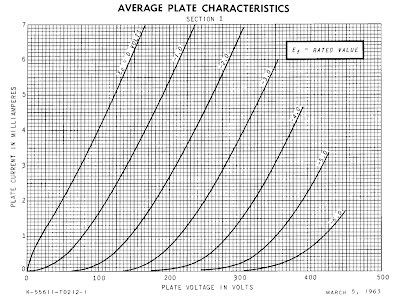 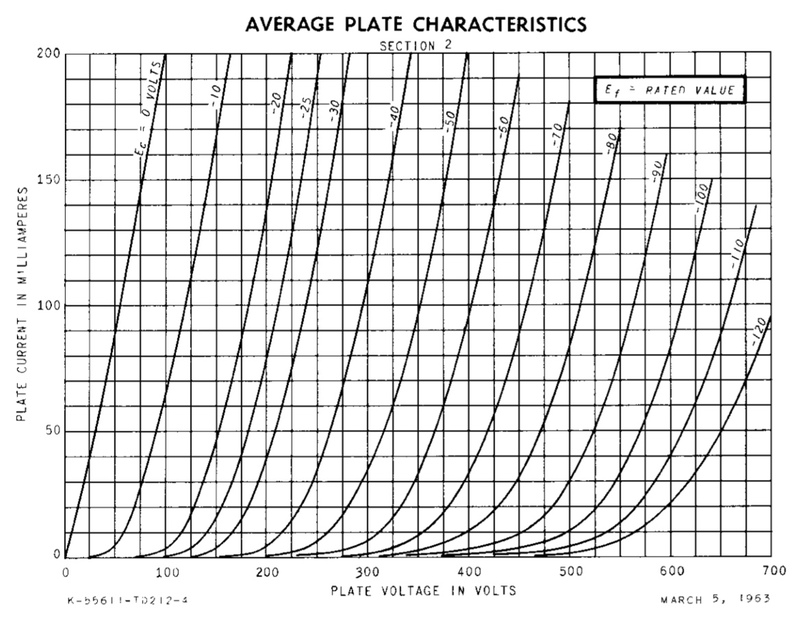 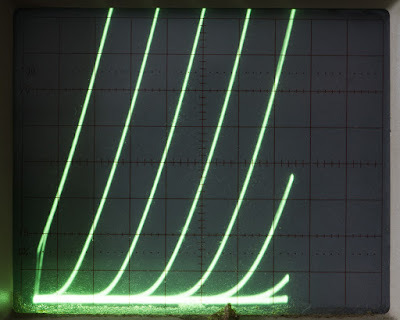 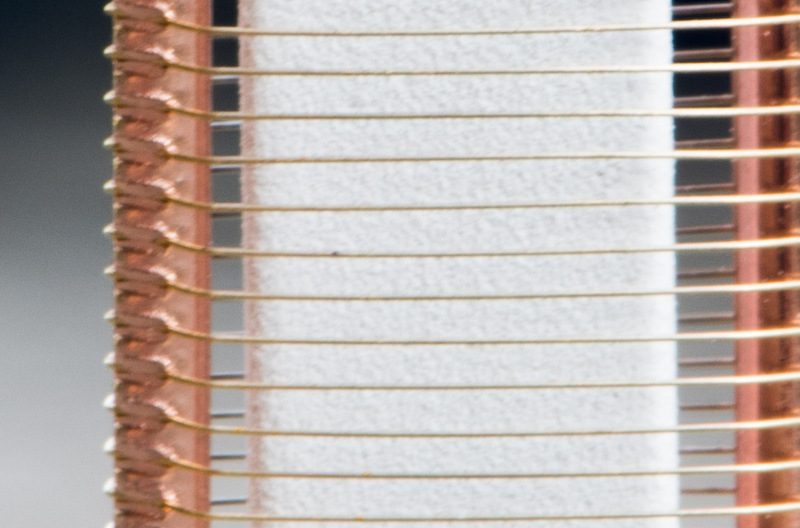 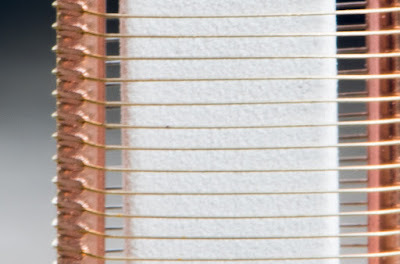 As always let's have a look at the curves of the two triode sections as shown in the General Electric data sheet. First the high mu triode. 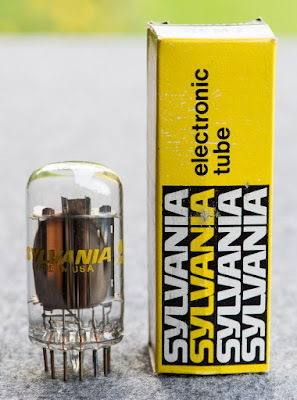 An interesting tube! 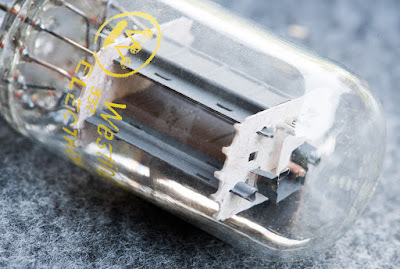 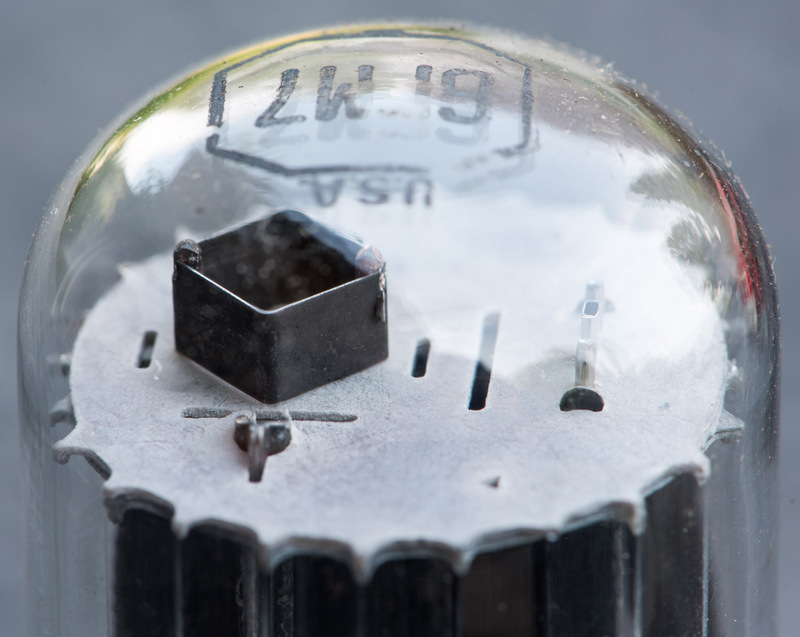 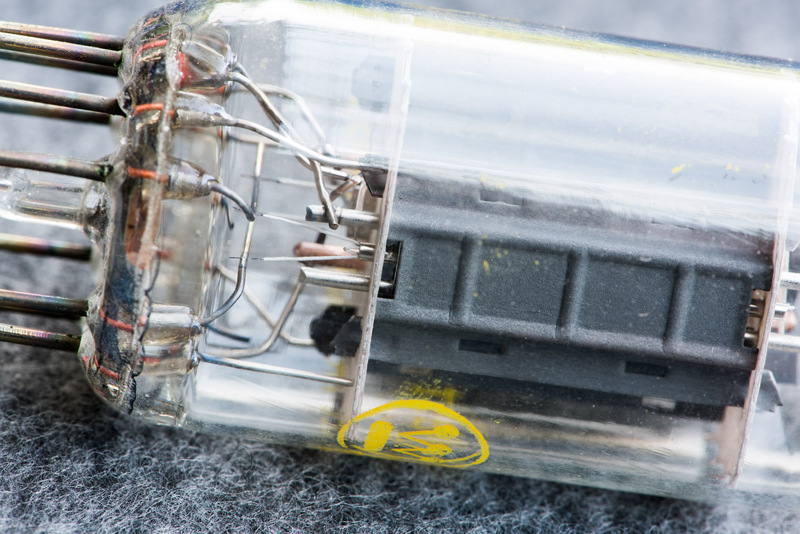 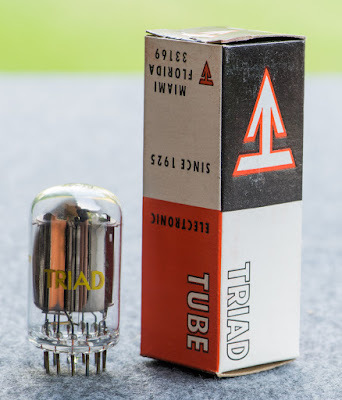 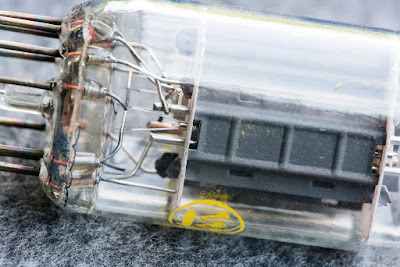 It would make a nice 1 to 1.5W 'spud' amp, or preamp triode. 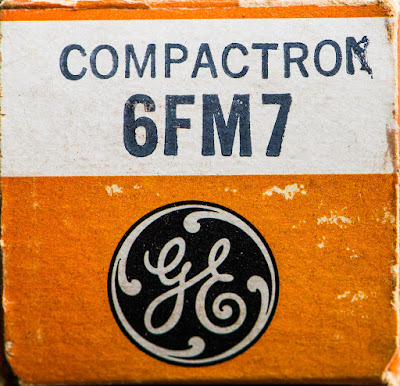 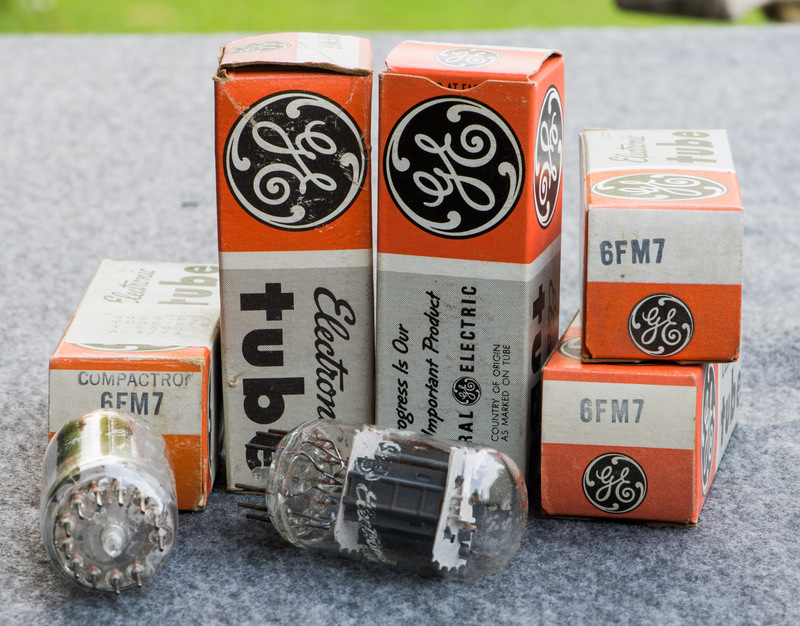 Let's start the photo gallery of 6FM7 tubes with General Electric since they were the inventor of the Compactron series. 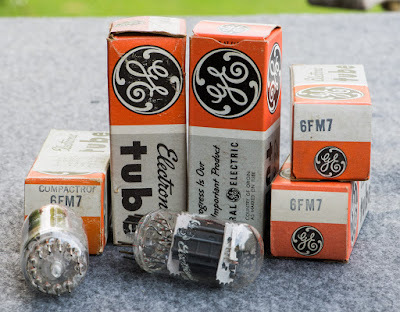 It was most likely just rebranded. 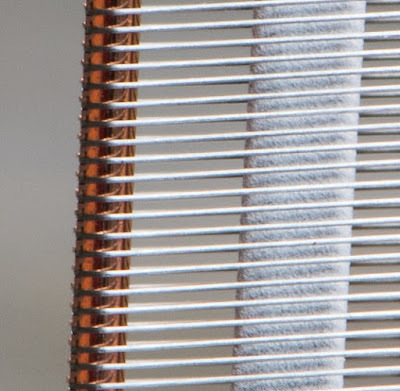 Probably a label of a store chain. 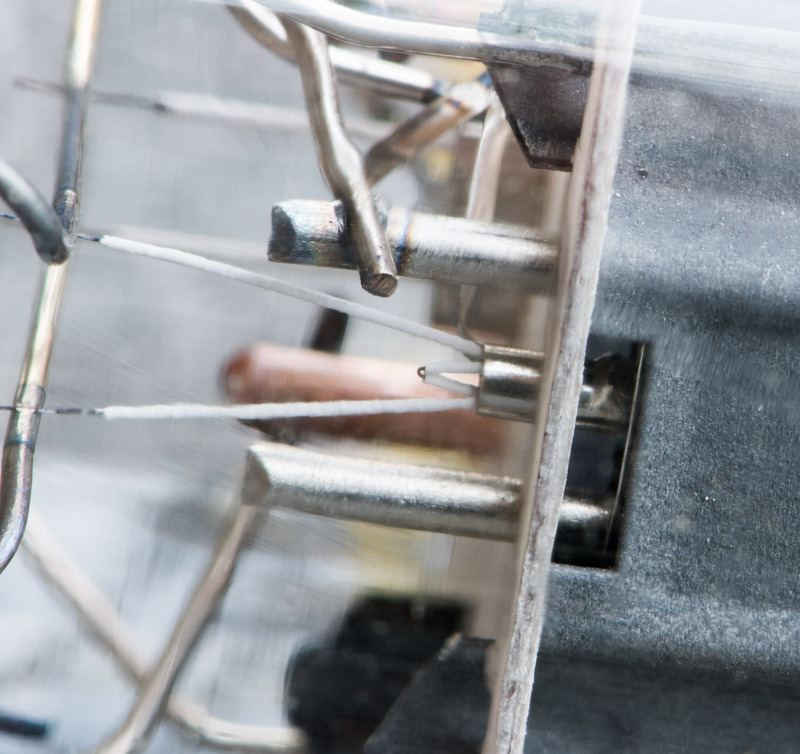 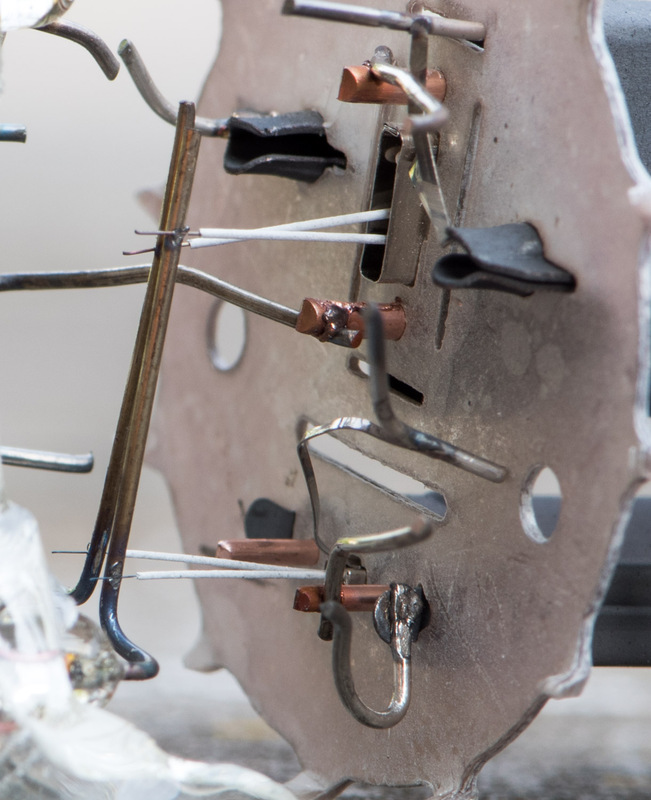 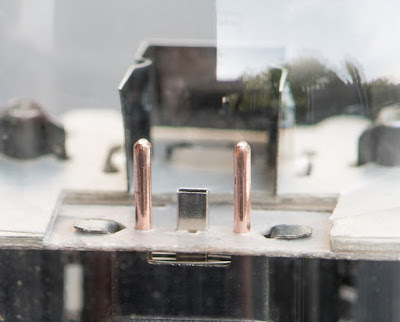 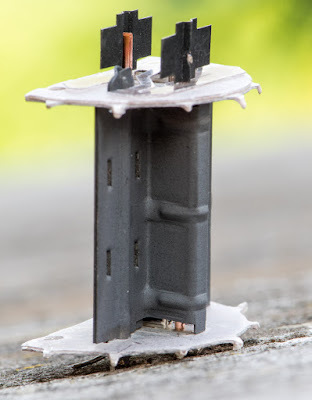 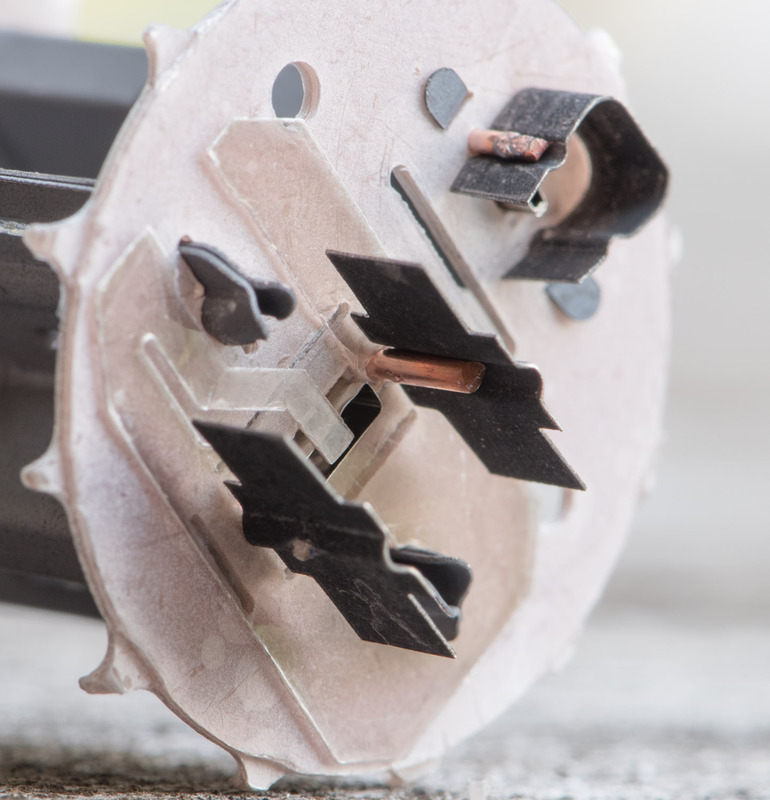 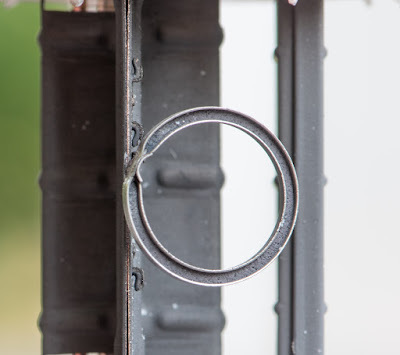 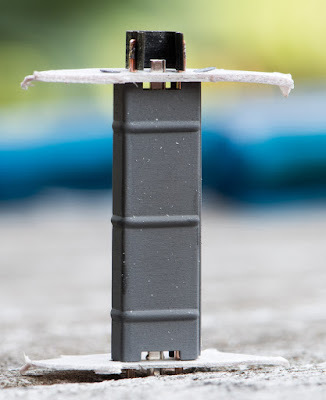 As mentioned in posts about other Compactron tubes already, one disadvantage of the 12 pin base is the force you need to apply to insert the tubes into the socket. During the photo session for this post an unlucky tube fell off the table. Since it broke, it is a good candidate for a tube dissection. 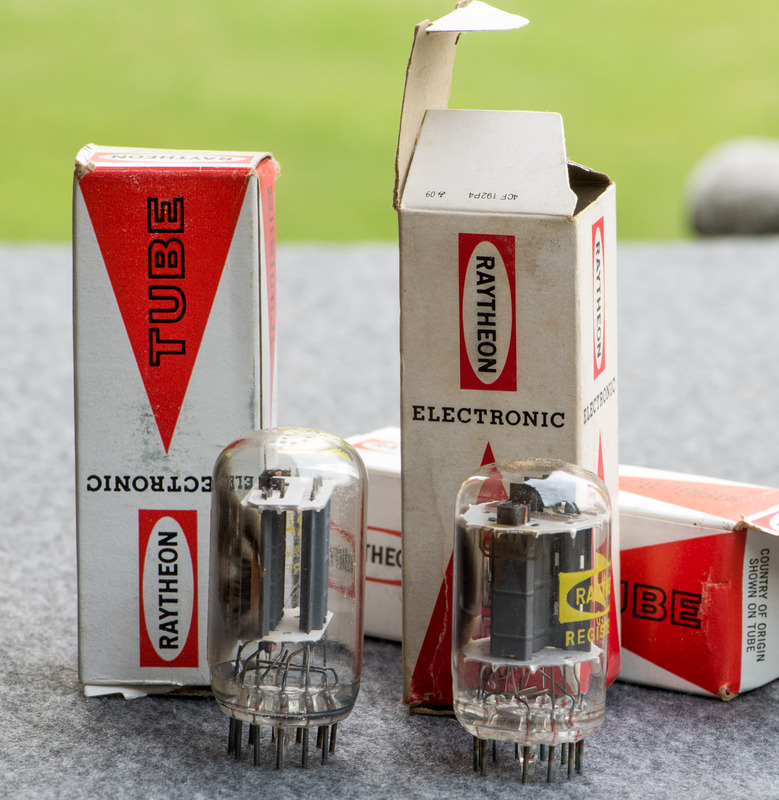 Tube manufacturing technology was very evolved when the Compactron series was introduced as these photos show. A 6FM7 with the heaters lit up. 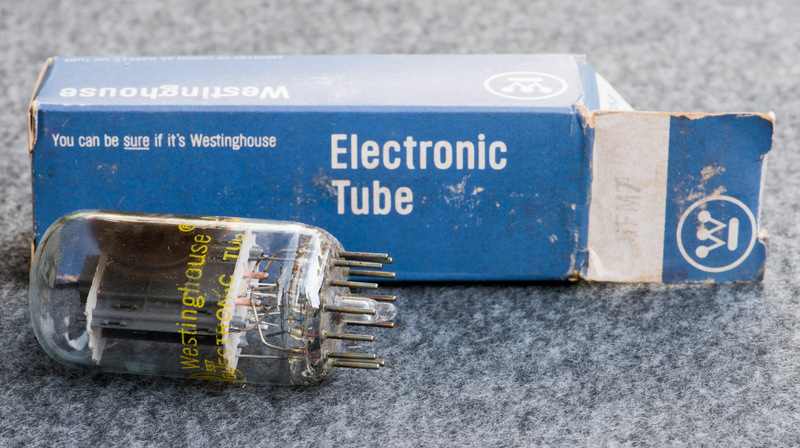 I hope you enjoyed the presentation of this tube. 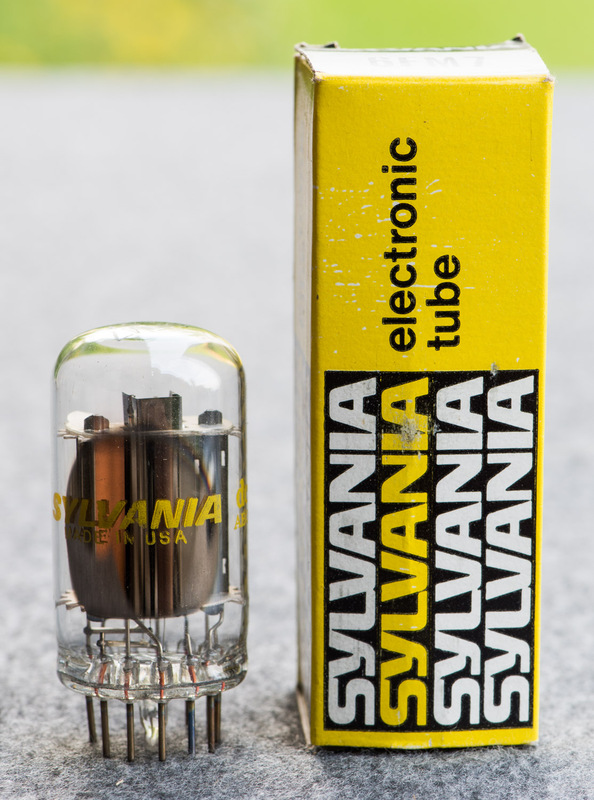 Stay tuned for many more tubes to be presented in the Tube of the Month series.